I love your selection! I have the Clarins Instant Light Lip Perfector in the beige shade, which is lovely (although I don't know which bag it's hiding in at the moment!). For lips, I'd recommend to you the Burberry Lip Glow lip glosses. They feel amazing on the lips and are not sticky at all. They also smell and feel really refreshing, without stinging or having an overpowering scent. I showed it here in case you want to see what it looks like! I love your picks! 3-5 lipsticks is totally fine, I like to carry around at least three, I totally agree that a lipstick reflects your mood haha. I need to try the Bobbi Brown concealer, everyone always raves about it! I've been wanting to try the clarins lip perfector for so long and now you have got me convinced! love the nars powders!! I love how luxurious all of the products are. Great products and review ! I really want to try the Laguna bronzer. Everyone says how fantastic it is. 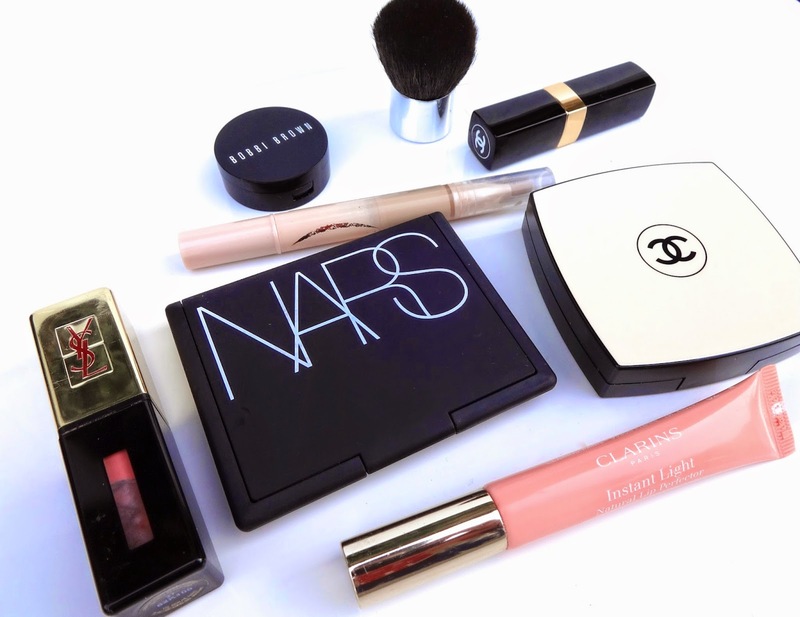 The NARS Laguna Bronxer is one of my absolute favourites. Mine has run out and I haven't been able to replenish it yet, but this post has reminded me how much I need to!